 12/20/17 – The Community Foundation of Greene County (CFGC) recently announced a distribution of grants totaling more than $8,500 to local nonprofits and schools. CFGC hosted a reception for representatives of the nonprofits and schools at the CFGC Foundation Room where Dr. Morris Harper, Chairman of the CFGC Board of Directors and Mrs. Lucy Corwin, chairwoman of the CFGC Grantmaking Committee presented the grant awards. Grants were awarded from several different funds as part of a fall grant application process. The Early Intervention Enrichment Fund is a donor advised fund which was established earlier this year to assist Early Intervention programs serving Greene County children in offering enrichment activities above and beyond the normal/standard activities, and to encourage parent participation in activities. Grant proposals are solicited from providers of Early Intervention services by CFGC either by letters, email and/or press notices. The proposals are then passed along to the donor who donor has put together a team of retired Early Intervention professionals to review the proposals and make recommendations for grant awards. A $3,000 grant from the Early Intervention Enrichment Fund was awarded to the Greene County Human Services Early Intervention program for the Play Zone in Early Intervention project to purchase tickets for outings, food and supplies for special monthly activities for parents and child interaction. This is the first grant award from this new Fund. The Excellence in Education Fund is an endowed fund that was established in 2010 with a contribution from Consol Energy to provide small grant support to public schools and classroom teachers to assist with classroom supplies, equipment, and other items to assist the educational process. Each year, CFGC is able to make 1 to 3 grants of up to $500 to support classroom or teacher led projects. A grant of $500 was awarded to the Greene County Career and Technology Center (GCCTC) for a Video Production and Editing project. The equipment will be used by GCCTC students to showcase their skills and portfolio items as part of job and post-secondary school applications and resumes and senior requirement. Students will also be able to produce videos to highlight student activities that can be shared with their home schools and future students. $2,000 to Carmichaels Area School District for the Media Broadcasting class to update video equipment and software. $2,000 to Jefferson-Morgan School District toward their Project Lead the Way Engineering Initiative to help purchase a 3-D Printer and a Laser Engraver/Cutter. $2,000 to Southeastern Greene School District for their Artist in Residence Program at Mapletown Jr/Sr High School in partnership with the Pittsburgh Center for the Arts and the Pennsylvania Council of Arts. The Cindy’s Wind Fund for Women and Girls was established as an endowed Field of Interest fund by Cindy Bailey in 2015 to help women and girls meet their full potential. Grants are made twice a year. A grant of $500 was awarded to Eva K. Bowlby Public Library for the “So You Want to Babysit! Essentials” project, teaching girls ages 12-15 about the basics of good child care, including CPR for infants, toddlers and children. The 8-week course will prepare young teens to be safe in unsupervised settings, whether home alone, sibling/relative sitting or babysitting. The CFGC Community Grants are made possible through the Bob Bradford Fund and the Forever Greene Fund. These are unrestricted, or discretionary, funds meaning that there is no restriction on how the funds must be used. These funds come from the monies available for the operation of the Foundation – monies that the board of directors set aside each year to be used for grants that may help meet unmet need or other emerging needs. The CFGC Grant making Committee reviews applications for these funds twice a year. The Fall grant applications are due October 1st, while the Summer applications are due June 1st. $1,500.00 to Catholic Charities of the Diocese of Pittsburgh for the Working for Greene project to assist job seekers and new employees with professional clothing, protective equipment, gasoline vouchers, and other job-related expenses to ease the initial costs of finding and starting a new job. $2,000 to the Eva K. Bowlby Public Library to purchase new laptops for the Code Squad project which teaches elementary age children the basics of computer programming and animation. $500 to the Penn State Extension Greene 4-H program to assist with expenses for the Progressive Agriculture Safety Day in May. Agricultural Day is designed to cover a variety of topics youth encounter in their everyday lives through mini-workshops and activities. All third grade classes in the county’s five school districts are invited to attend the program. Attending students, teachers and volunteers receive a t-shirt and take home bag of safety items. $500 to the Penn State Extension Greene 4-H program to offer a Birding Camp in June 2018 in partnership with the Ralph K. Bell Bird Club of Greene County. The Birding Camp is a summer day camp program in early June (before the County Day camp program) for up to 20 participants ages 8-18 years old. and will help students gain an understanding and appreciation of the environment and the animals with which they coexist. $2,000 to the Pennsylvania Behavioral Health and Aging Coalition to assist with the “All In: Trainings That Make A Difference” project to provide training on older adult and mental health-related topics with first responders and emergency personnel in Greene County. Some of the seminar topics to be conducted may include, Dementia Live, Mental Health First Aid or Signs of Psychological Distress in Older Adults, or other combination of trainings determined by the local partners. $2,000 to the Weekend Food Program to provide packs of food for food insecure students in Greene County schools. CFGC, the fiscal sponsor for the Weekend Food Program will distribute the funds among the five school districts and local Intermediate Unit 1 later this month. Since 2001, CFGC has awarded more than $3.1 million in grants and scholarships that have helped meet the needs and improve lives of Greene County residents. The Community Foundation of Greene County (CFGC), a private, non-profit 501(c)(3) organization founded in 2000, is the central philanthropic vehicle in Greene County for donations of various types and sizes. CFGC currently manages nearly $5 million in assets through more than 75 different endowed and restricted funds. For more information about CFGC, visit www.cfgcpa.org, or email cfgcpa@gmail.com.